Add this gnarly wig to any zombie costume to give it a distinctive dose of rock and roll. 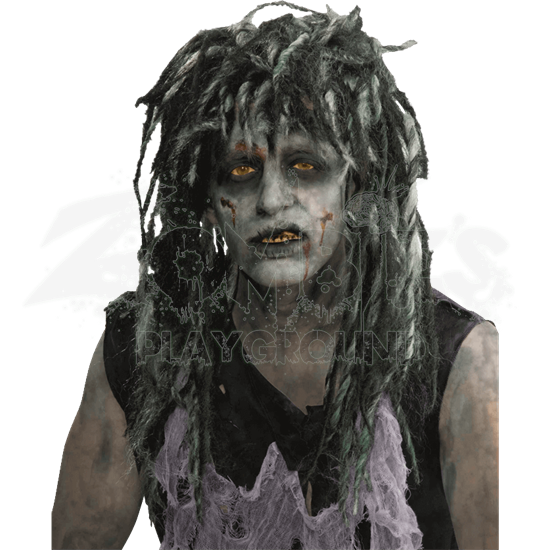 Whether you are looking for 80s rock style or a modern metal look, the Rocker Zombie Wig delivers in equal measure, while enhancing your deathly look. This wig features a tousled, grungy look that pairs well with rock and roll and with zombification and brings the two together with remarkable ease. The wig consists of long, tangled braids of hair, creating a dreadlock hairstyle that is almost uncontrollable in appearance. It has strands of green, black, and gray synthetic hair running throughout, which gives the wig an unhealthy, deathly look that makes it the perfect complement to any zombies style. The wig is made from synthetic hair. 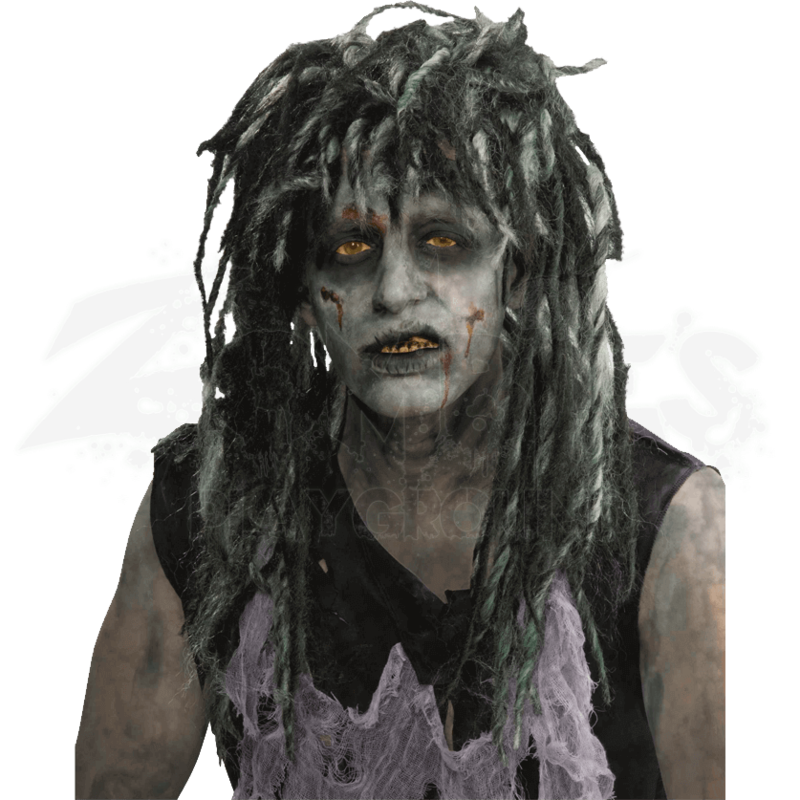 For an undead rock style that would make more experienced rockers roll out of their grave, look to the Rocker Zombie Wig to complete your undead look with all the flair and style of rock and roll.